Looking out on the Swan Range and the Bob Marshall Wilderness. A birds-eye view looking north into the Bob Marshall Wilderness. 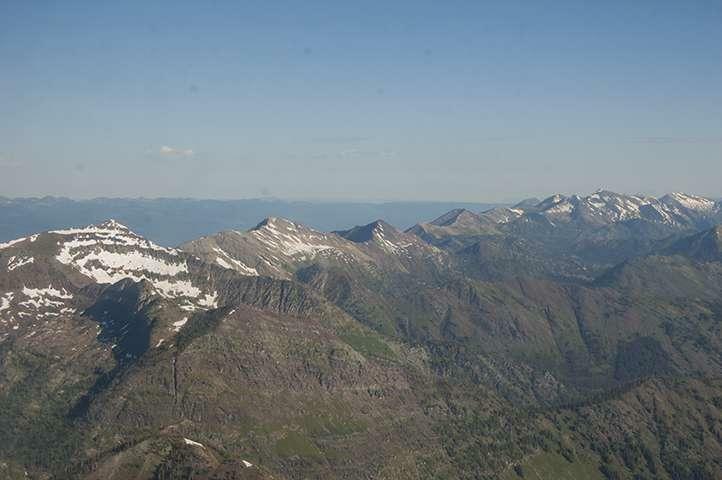 Even in July, snow still clings to the highest peaks in the Bob Marshall Wilderness Complex. 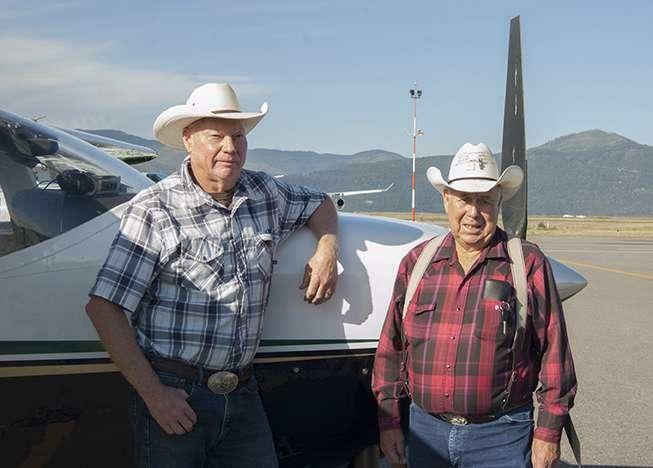 Mack Long and Smoke Elser, wilderness outfitters and members of the BCSP pose for a photo after the flight. Summer is prime time for visiting Montana’s biggest wilderness area, the Bob Marshall Complex - more than 2,300-square miles of roadless, wild, rugged country stretching between Glacier Park and Lincoln, and straddling the Continental Divide between Seeley Lake and Augusta. It’s so big, it’s hard to take in from the ground. 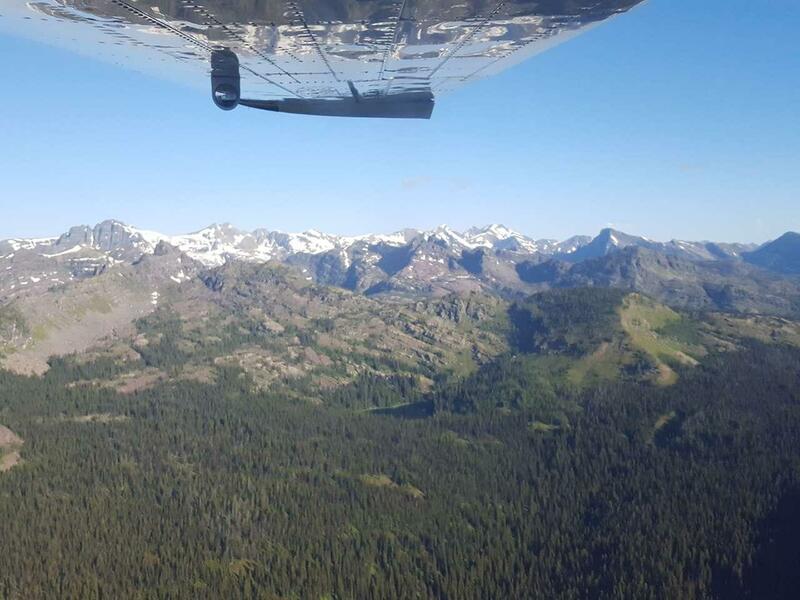 A coalition of wilderness advocates recently gave reporters a chance to see it from the air as part of their years-long effort make "the Bob" even bigger. Mack Long, co-owner of Bob Marshall Wilderness Outfitters, was the guide on one of the flights. "There’s three wildernesses that make up the Bob Marshall complex: the Scapegoat, which is what we're in; and then the Great Bear to the northeast; and then the Bob Marshall itself. All three adjoin each other and so it becomes the Bob Marshall Complex." Long is part of the Blackfoot Clearwater Stewardship Project, a diverse coalition of conservation, ranching, and recreation groups that’s trying to attract enough support in Congress to grow "the Bob" by about another 130 square miles — for a variety of reasons. "What you’re looking at here is all part of the additions. The Blackfoot-Clearwater Game Range is off to our right. This is winter range. That’s one reason this is really important, because it provides those wildlife movement corridors going back and forth." Most of the proposed additions run along the southwest side of the existing Bob Marshall complex. 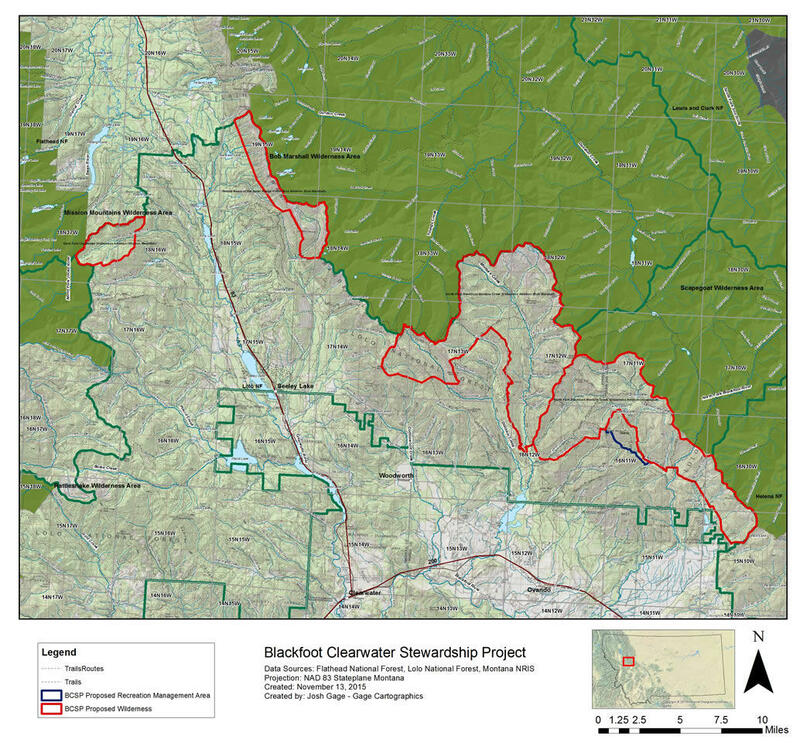 The areas outlined in red are additions to the Bob Marshall wilderness complex proposed by the Blackfoot-Clearwater Stewardship Project. But what the coalition is proposing isn’t just wilderness protection where motorized use is prohibited. It also includes opening new areas for snowmobiling, and guaranteeing that some existing roads stay open for motorized uses. And there are timber harvest components too, some of which are already in the works as part of the 2010 Southwest Crown of the Continent Collaborative. Assembling the coalition of motorized and non-motorized users and other interests was hard work that’s been in progress since 2005. Back on the ground, Long says it’s time for Congress to take action. "This is pretty much a ready-made, strongly supported project that we’re gonna hand to them, and ask them to carry it forward. What they want to do with it politically is up to them." Mack Long, a member of the Blackfoot-Clearwater Stewardship Project steering committee points out wilderness additions and recreation areas in the group's proposal. Long says the coalition’s proposal should be pretty attractive to lawmakers. "When you talk about local management of public lands, I can’t think of a better example than what this is. This is all the interests coming together and benefiting." 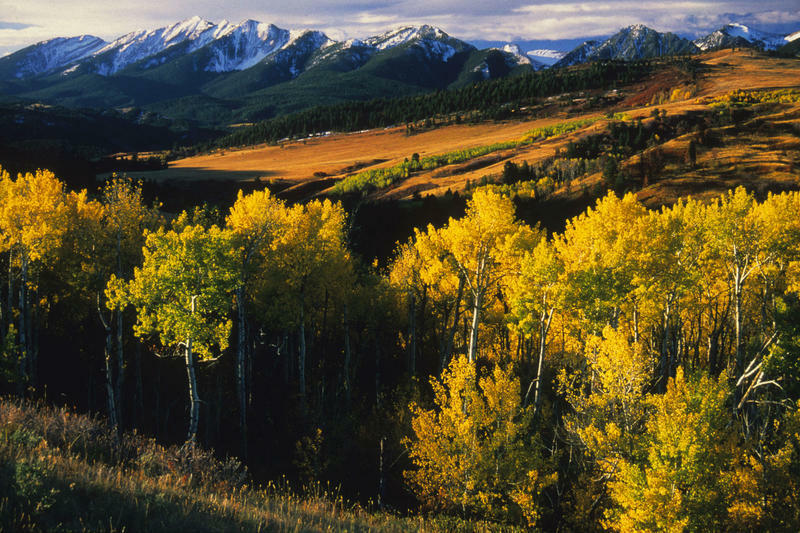 While convincing a coalition of typically competing interests to support additional wilderness is a noteworthy feat, not everyone is convinced that process will lead to the best outcome. "Their list of supporters are either people who are getting a piece of the pie, or people who are probably very well meaning, but they’re a little bit naive. Hey, maybe the devil’s in the details with some of these pieces of legislation." Matthew Koehler is director of Missoula's WildWest Institute, a small but vocal group that favors using existing federal laws and more established practices to protect wilderness. 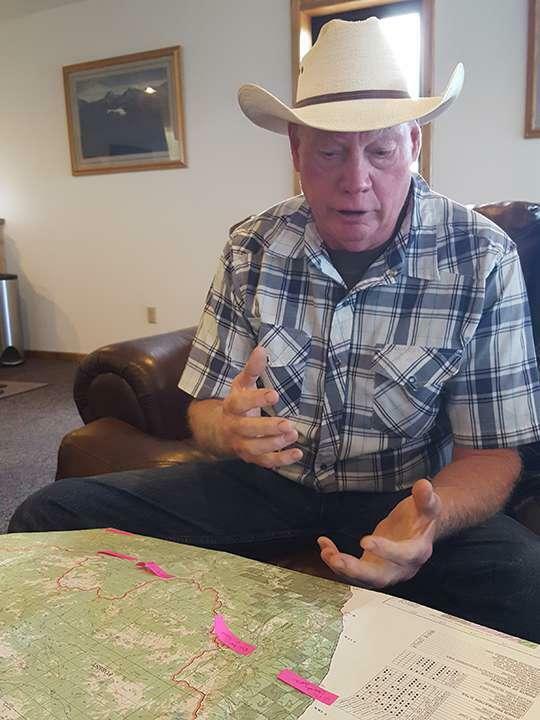 His group is especially critical of the processes used to build this coalition — the horse-trading that gives local groups more say over management decisions on federal lands. "I think local control of a local park is great. I think local control in the Blackfoot-Clearwater valley of land that belongs equally to all Americans regardless of where you live, that is a slippery slope, that if we continue on that slope we’re going to see an end to public lands as we know them." 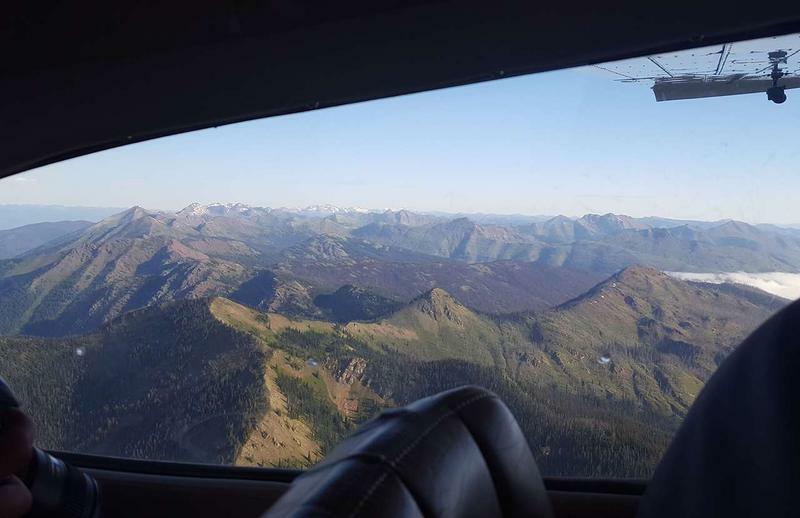 Koehler says that while adding 130 square miles to the Bob Marshall Wilderness complex sounds good, important details of the coalition’s proposal remain unknown. Critical as he is of the Blackfoot Clearwater Stewardship Project’s vision for how to protect more wilderness, Koehler agrees with the larger goal of growing the wilderness. Smoke Elser is a retired wilderness outfitter who’s on the Stewardship Project’s steering committee. "It just might be that future generations will find something more valuable in wilderness then all of the those commodities. And that value might be the sanity of man." For now, members of the Blackfoot Clearwater Stewardship Project say they'll continue to try to build support for the proposal, and work with any of Montana's representatives in Congress to get the legislation drafted and introduced. 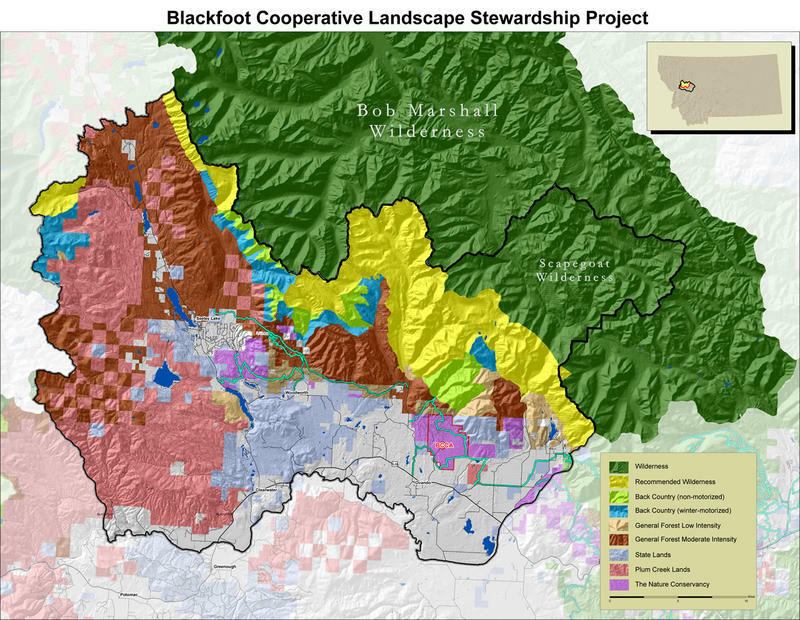 Learn more about the Blackfoot-Clearwater Stewardship Project proposal. After languishing for over two decades in the U.S. House, a sweeping wilderness bill now gets its first shot in the Senate. 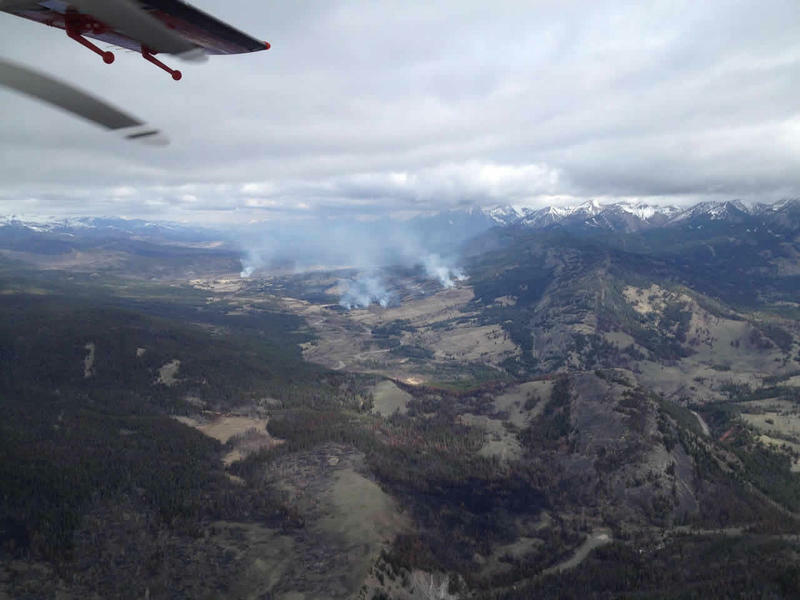 The Elk Hill fire, which started early Saturday morning in the Bob Marshall Wilderness, has burned more than 1,000 acres in the Circle Creek area. The U.S. Forest Service’s Kathy Bushnell says the 1,000 acre fire is unusually large for this time of year.